What is included with my car windshield replacement price? When you get a price for a car windshield replacement, you can expect the cost to include; new windshield, labor, installation, nationwide lifetime warranty, and our free valleywide mobile service. I have a crack in my windshield, will it fall out? Absolutely not. Automobile windshields are manufactured with two pieces of glass and with an inner plastic layer called laminated. Typically, when a windshield gets cracked by a rock from the road, the outside layer is the only piece that gets damaged. Therefore, you are still protected by the inner vinyl layer which is the strength of your windshield and the inner glass layer. That is why windshields are considered to be safety glass and all cars windshields are laminated for your safety. Do I need any additional information when I call the windshield replacement repair shop? Yes. You should know the make of your car, its year and its model. You might also have to give specific information regarding your windshield. For example, you might be asked if your car windshield has a rain sensor, or if it is heated. I think your auto glass repair quotes are very low. Is this because you are using substandard windshield parts? We never use second hand or substandard windshield parts. Everything we use complies with Federal Motor Vehicle Safety Standards (FMVSS), the governmental body responsible for motor safety. Indeed, the reason why we are so cheap is because of our overall business model. What is the cost for you coming out to my home or business? NOTHING. Our valley wide service is free to anyone in the Phoenix metropolitan area including San Tan Valley, Phoenix, Mesa, Tempe, Peoria, Scottsdale, Avondale, Ahwatukee, Gilbert and Surprise. How many hours does it take to complete an auto windshield replacement installation? Usually, we will be able to complete your auto windshield replacement in less than an hour. However, there are times where it might take longer, depending on your car type and past windshield installation methods..
Do I have to be there for my car windshield replacement? No, but you will need to give us oral or written consent authorizing us to work on your car. This is because your automobile must remain unlocked for us to do our job. However, we will lock your car and return your keys after the replacement is complete. When can I schedule a convenient windshield replacement appointment? You can do so at any time… even if you want your appointment on the same day. Will there be a long wait for my schedule appointment? No, but we do adhere to a minimum of a 2-hour time frame. The best appointment times would either be in the morning or in the afternoon. Again, we can make accommodations if necessary. Can I expect a phone call before the windshield installation technician arrives? Of course. Our windshield installers will call you fifteen minutes before they arrive and/or if they are tardy. Can I drive my car immediately after the windshield replacement? No. You should wait at least an hour before going out on the road. This is because the urethane adhesives we use will need time to dry. Note that these adhesives offer the fastest drying times of any urethane in the industry. Auto Windshield Safety Tip: Believe it or not, adhesives are actually the most important element in your windshield replacement. Even if you decide not to use our company for your windshield, make sure that whomever you do use only applies fast-drying and automotive grade adhesives. Will I have any additional instructions to follow after my windshield replacement has been complete? Yes. Do not pressure-wash your vehicle for at least twenty four hours. Also, leave your windows open about half an inch to release some of the air pressure. Finally, do not slam your doors and remove any excess tape after twenty four hours. Will bad weather affect my scheduled appointment? Yes. If it is storming outside, we may have to reschedule your appointment. I got in an accident, and my window broke into a million pieces. Will Glas Tek clean it? Definitely. Our technicians will clear all of the glass inside and outside your car. However, in extreme cases we do recommend that you take you automobile and get it fully detailed. Should I use covered parking for my car? This is not a requirement, though if you can park in a shaded area, your windshield installer would greatly appreciate it! Can Glas Tek put my existing stickers back on my new windshield? Yes, this is possible. What we will do is carefully remove the sticker and then save its adhesive for the new application. Note, however, that if you have military stickers, the process might be more challenging. This is because military stickers are designed to break apart upon their removal. If this happens, we will save all the pieces so you can exchange it for new stickers. What about the car windshield rear view mirror? Will they be attached in the same area? Yes, because most windshields come with the bracket already applied to it. It just becomes a matter of removing the existing mirror and reattaching it to the new windshield bracket. In addition, most rear view mirrors have two elbows that allow you to self adjust to a position that is comfortable for you. Does Glas Tek utilize trained technicians? We have to, as we want our clients to have the best windshield repair service available. 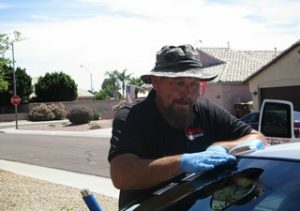 So, yes, all of our technicians have at least 5 years of experience in installing and repairing car windshields. Is your work guaranteed? Yes, as we give customers lifetime warranties against any defects in workmanship or manufacturing. What if I decide to move? Will the warranty still be valid? Yes, as our warranties are nationwide. If something happens to your windshield, feel free to give our company a ring. 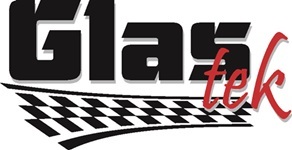 We will make arrangements to get your windshield fixed at your nearest auto glass shop. The billing will become our responsibility. Will I have to worry about my car getting damaged during the repair? Definitely not. Nothing on your automobile will get harmed during your car windshield replacement. Why won’t the window on my door work? When this happens, usually there is a motor problem. But if your motor appears to be working normally, chances are something is wrong with your regulator. In any case, since motors and regulars are often distributed as a combined unit, repairs on either of these can be costly. But you would still save more money if you used our services. Would I be breaking the law if I drove my car with a broken windshield? According to the laws of Arizona, if police believe your windshield is not safe they can give you a ticket. So, yes, it is possible that you can get in legal trouble with a broken windshield. However, even if you do get warned, you will be given five days to repair your windshield before getting fined. This gives you plenty of time to address the problem, especially if you decide to use our company for windshield repair. As stated earlier, we are open 6 days a week, with very generous hours. We understand that things happen, and if you are in a bind you need a company that you can depend on. 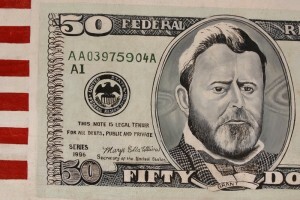 We do not want anyone to have to spend hundreds of dollars on a citation when their problem can be resolved for a fraction of that amount. The economy is just too bad to be giving the state court all your money. Get your free, low cost, no obligation windshield replacement price. Can I make special requests for the brand of glass used? You are free to request whichever glass you want, whether it is from your dealer or a particular factory. Note, however, that you or your insurance provider would incur an extra fee, if necessary. How is a automobile windshield manufactured? Windshields go through lamination process which involves conjoining two panes of glass with a vinyl layer in-between. It is this vinyl sheet that gives the windshield its strength. So, if your windshield gets hit by a rock, only the topmost layer suffers damage. Which windshields does your company use? Our windshields either meet or surpass the qualifications set forth by Federal Motor Vehicle Safety Standards (FMVSS). As far as brands, we use all of the well-known manufacturers ranging from LOF to Mopar. Of course, if you do not like these brands, we will accommodate personal requests. Is every car windshield created the same? Yes. All windshields must meet the standards established by FMVSS. So, really it becomes a matter of preference, as most of the brands we use tend to get their windshields from the same glass supplier. Ultimately, only the names are different. How do I know who manufactured my automobile windshield? According to FMVSS, all windshields that are manufactured and sold in the United States must have the entire manufacturing plant details list on the windshield including the Department of Transportation (DOT) code. Typically, it is called a bug and will be located in the bottom corner of your windshield. You can get this DOT code from the windshield and enter into the glassBYTES/AGRR database to find out your windshield manufacturer details.